Windaroo Lakes Golf Course is an 18 hole championship golf course, ideally situated half way between Brisbane and the Gold Coast, easily accessible just minutes from the M1 Motorway. Nestled along the picturesque Albert River, the Ross Watson designed course offers a challenge to all levels of golfers from the social player to the lowest of handicaps, which provides a memorable experience for all that play. A Par 72 with an ACR of 73, Windaroo Lakes boasts one of Australia's hardest Par 4, the 437m double water carry 16th hole known as Snake Gully. Proudly hosting the Queensland Open from 1992 - 1995. Specialising in Corporate Golf Days, Windaroo Lakes offers a newly refurbished Clubhouse, Members Bar, Fully-equipped Pro Shop and Putting Green. With a full fleet of electric carts, experienced and friendly staff, your company or organisation will benefit from a complete planning service and a range of complimentary value-added offers. Windsor Country Golf Club presents a championship 18 hole course, perfectly located on the outskirts of historic Windsor, an hour north-west of Sydney. Carefully developed over the last 40 years, the layout has been designed to make the best use of the natural features of hills, slopes, river flats and Rickaby Creek which forms the western boundary. The modern clubhouse enjoys panoramic views to the Blue Mountains. The course has standard par of 71 and is rated 71 by the NSW Golf Association. It was developed on an old dairy, bought by members in 1962. The fairways are lined with a mixture of original and newer plantings of native and deciduous trees. Garden beds abound at tees and throughout the course. Wine Growers Direct, Australia Wine Growers Direct is redefining the market landscape by taking care of wine drinkers, grape growers and winemakers. By delivering the nation's top drops directly to the doors of wine lovers they cut out the exorbitant costs associated with multinational middle men. This means customers save up to 80 per cent, while our farmers still get a fair price for their product. At the heart of Wirrina Cove is our sensational golf course, offering spectacular golf and great views over St Vincent's Gulf and the rich countryside of South Australia's Fleurieu Peninsula. Newly ranked as the 65th best public access course in Australia, Wirrina is one of the finest golf courses in South Australia, and boasts 18 magnificent holes - perfect for social, competition or corporate golf. In addition to the quality of the course, and clubhouse facilities for a relaxing drink or meal, you will get to enjoy sharing your round with the local kangaroos. Just an hour from Sydney, on the banks of the Hawkesbury River, Australis Retreat at Wisemans offers superior accommodation on the borders of some of the most beautiful scenery in New South Wales. If you're looking for a short break, a venue for a conference or wedding, or a place to enjoy a round of golf, the Australis Retreat at Wisemans offers your perfect country escape. You'll relax, surrounded by picturesque National Parks and indulge in the finest local produce from our renowned chefs. We pride ourselves on our warm hospitality and the standard of our service. Wisemans Ferry Golf Club presents a picturesque 18 hole (9 hole alternate tees) par 69 golf course lying along the banks of the Hawkesbury River. The 4,623 metre golf course was designed by Terry Watson and Norm Carr to be enjoyed by golfers of all standards, but its numerous bunkers, water hazards and of course nature itself, command focus for even the experienced golfer. The holes may be short with subtle elevation changes, however the relatively narrow fairways lined with trees place a premium on club selection and accuracy. If you are looking to escape the city, the club is only an hour's drive north of Sydney. Situated in the heart of Wollongong, between the magnificent Illawarra Escarpment and beautiful Pacific Ocean it is easy to lose yourself in the tranquility that is Wollongong Golf Club. Established in 1897, a decade before electricity came to the town, the Club has the honour of being one of the oldest in the country and with an $5.5mil upgrade to clubhouse completed and now open it offers something like no other golf club in the region. Only an hour from Sydney, today the Wollongong Golf Club is home to a selection of bars and function spaces, offers four star AAA rated accommodation and an award winning restaurant, each of which has its own spectacular views. The true links style course, plays alongside the beach where members and visitors are welcome to enjoy a round and indulge in one of the most unique experiences that Wollongong has to offer. The beautiful Wolston Park Golf Club is located on the majestic Brisbane River at Wacol, only 20 minutes from Brisbane CBD. The Club is often described as a "hidden gem" nestled away on the bend of the river. Its tranquil setting is perfect for any golf day. The clubhouse and course boasts a challenging layout through picturesque hills and flats, all surrounded by native trees and wildlife. The clubhouse boasts spectacular views over Brisbane River and our function room is ideal for small and large parties, wedding and events of all types. The golf course can accommodate your corporate, charity or casual golf day from Sunday through Friday. Saturdays are reserved for members. No matter how small or large your golf day, we can cater to your needs. With a friendly and professional atmosphere, you and your guests will feel very comfortable from the moment they arrive. Yarra Bend Public Golf Course The Yarra Bend Golf Course is situated in Yarra Bend Park, only 4 kms from the Melbourne CBD. The majestic Yarra River hugs the edges of this scenic course, providing picturesque views of the river and rocky cliffs. Well known as one of Melbourne's premier public courses for years, Yarra Bend features the highest quality greens and sculptured fairways. The course provides different levels of challenge to satisfy the avid golfer, whilst providing an enjoyable game for beginners. A feature of the course are the par 3 holes. These holes provide an opportunity for you to quest for the perfect tee shot straight to the elevated greens. If you are short from the tee, an exciting up-and-down approach is needed to hit the green. On the par 4 holes (2nd, 6th 12th and 15th), your drive will be over a small crest. Follow your ball down and see the hole open up to a sunken green, with a backdrop of steep escarpments, the river and bushland. 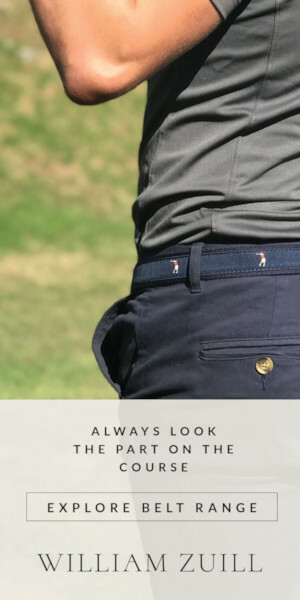 A fully stocked On-Course Pro Shop is located at Yarra Bend and offers a range of clubs, bags, clothing and other accessories for all golfers. At the Cafe you will find cappucinos, hot food, sandwiches, cold drinks and other snacks. YouGolf.me is an online coaching tool that helps students and their coaches advance quicker and better. 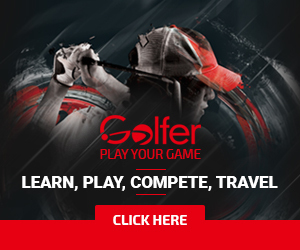 Developed by Australian PGA Golf Professionals Brent Dale and Christian Rainey, the online technology enhances the learning process and breaks down the barriers often experienced in improving your game. YouGolf instruction helps golfers with: * Enabling Golfers and their PGA Pro to CONNECT * Helps ENHANCE the learning process by providing interactive tools * Breaks the AFFORDABLE barrier often preventing people from getting and continuing golf coaching * Provides an ENCOURAGING platform for anyone to receive coaching in person in a comfortable environment * Enables ELITE players and their coaches to interact while they both are travelling anywhere in the world Whether you are new to golf, a Tour player, or a coach looking for an edge - let YouGolf take your game to the new level!